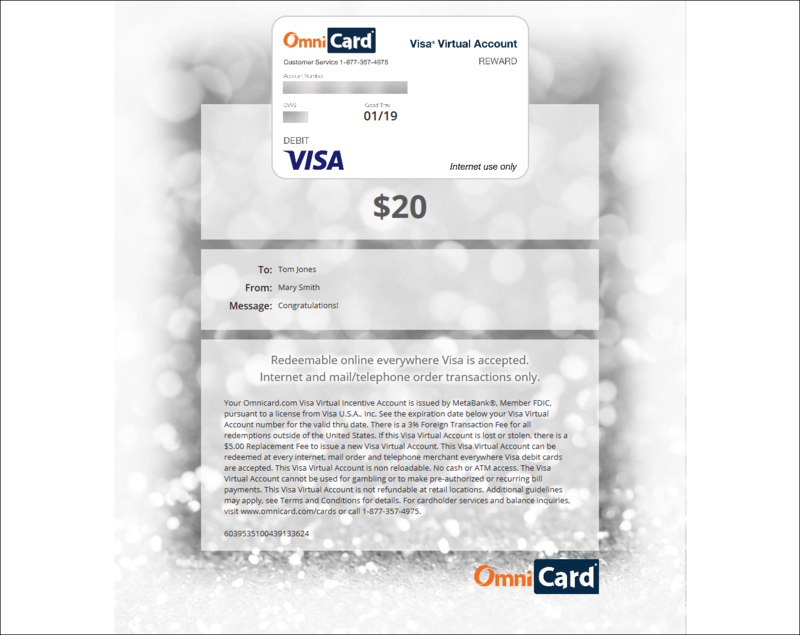 OmniCard Rewards Virtual Account is a Reward Visa or Mastercard Account that is delivered to your recipients electronically rather than being printed on a physical card. 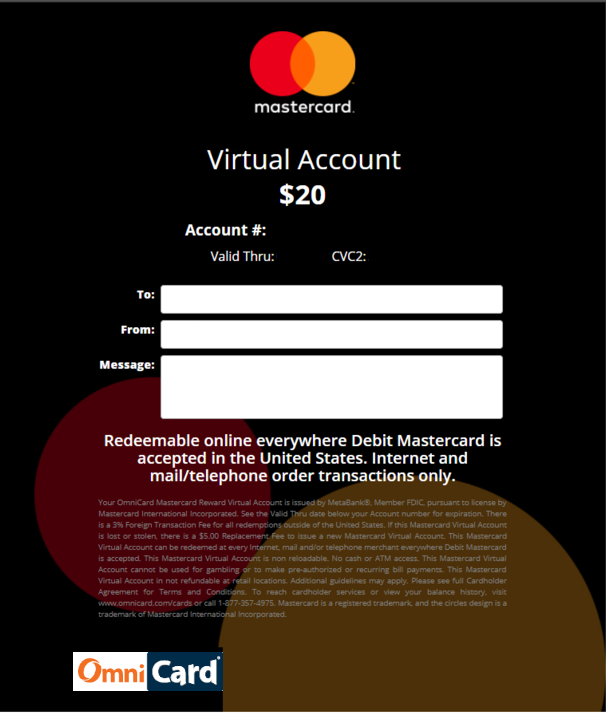 The Visa or Mastercard Rewards Virtual Account can only be used for online purchases or over the phone transactions wherever Visa debit cards or Debit Mastercard is accepted. Rewards Virtual Account are perfect for rewarding your employees or customers instantly and reducing the logistics involved with shipping. Our clients typically use this reward product for online contests, promotions, website survey awards, or for a target audience that is more Internet savvy. Need a Visa Gift Virtual Account for personal use? Visit our sister site GiftCards.com for orders less than fifty accounts. 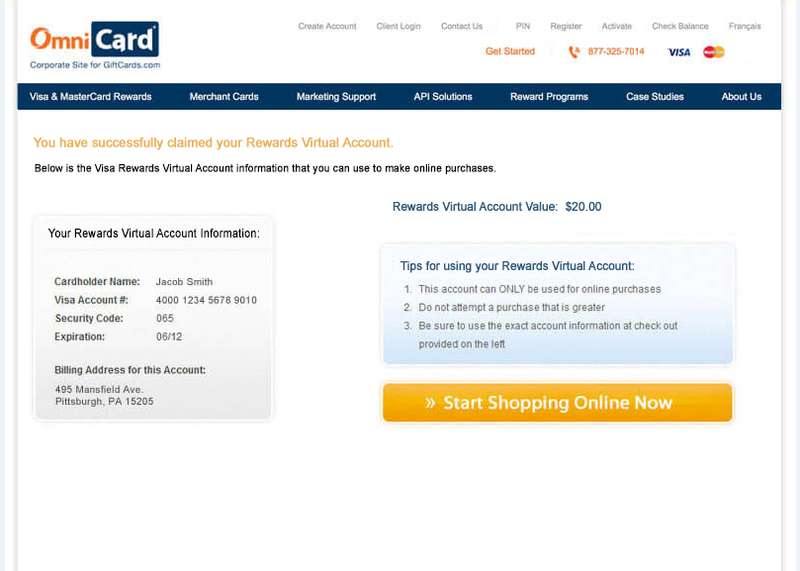 OmniCard API Solutions are available to help accelerate and automate your Rewards Virtual Account program.